Death Penalty Alternatives is participating in two events simultaneously. It may have happened before, but not often. We are at both the Tucson Peace Fair and ASU’s Local to Global Justice Forum and Festival in Tempe. Come out to visit with us and learn of our recent activities, what we have planned for the future and what you can do to help change Arizona’s law eliminating capital punishment, replacing it with a less costly and safer alternative. The annual meeting of Death Penalty Alternatives for Arizona took place January 21st at Arizona State University’s Beus Center for Law and Society, 111 E Taylor St, Phoenix, AZ 85004. The event was free and open to the public. 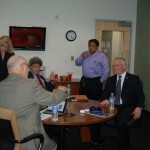 Guest speakers were attorneys Lori Voepel and Michael D. Kimerer and their client Debra Milke. Ms. Voepel was Debra Milke’s appellate attorney from 2001 through 2013, when she finally won her federal habeas appeal in the Ninth Circuit Court of Appeals. Ms. Voepel then served as co-counsel with Mr. Kimerer for Ms. Milke in re-trial proceedings, until successfully petitioning the Arizona Court of Appeals for dismissal of Ms. Milke’s case with prejudice in 2015. 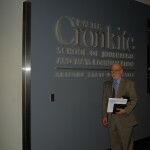 Mr. Kimerer has been practicing law in Phoenix since 1970 when he left California to join the law firm of Lewis & Roca. In his current firm Kimerer & Derrick, P.C., Mr. Kimerer, a certified criminal law specialist, devotes his practice to criminal defense. In 1990 Debra Milke was wrongfully convicted of a horrible crime against her own child, Christopher, who was brutally murdered. She spent 22 years on Arizona’s death row. 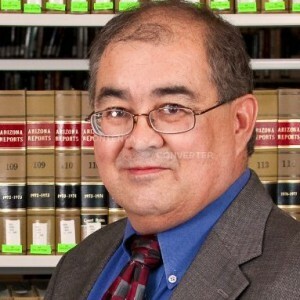 The Ninth Circuit Court of Appeals granted her Habeas Corpus Petition in 2013, holding that prosecutors failed to disclose a history of misconduct by homicide Detective Armando Saldate, Jr. While she did gain her hard-fought-for freedom, she is still left with a life without her son, making the victory bittersweet. She remains in her hometown of Phoenix, where she works part-time at a law firm, and tries to rebuild her shattered life. 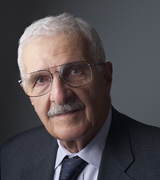 Death Penalty Alternatives for Arizona will hold its annual meeting on Saturday, January 16, 2016 in Tucson, featuring keynote speaker Stanley Feldman, former chief justice of the Arizona Supreme Court. More information about the event is below. All who come in peace are welcome! 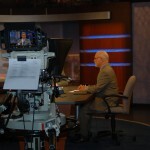 In the wake of the Nebraska death-penalty repeal, Dan Peitzmeyer appeared on KJZZ’s Here and Now. He debated whether there was a need for the death penalty. You can hear his discussion by following this link. Dale Baich, a former recipient of the Death Penalty Alternatives for Arizona Abolitionist of the Year award, was featured in the Arizona Republic for his years of efforts defending individuals sentenced to death. While the public may view Supreme Court cases as solving broad ideological questions, Baich said he focuses on making the best case for his individual client. Still, he said, if the result of his work is a halt to capital punishment, he said he won’t be disappointed. Cost to the Taxpayers of Pursuing Death Penalty for Arias? 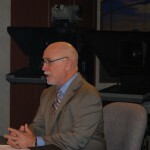 Death Penalty Alternatives for Arizona board members Chuck LaRoue had an article in the Ahwatukee Foothill News calling on Maricopa County Attorney Bill Montgomery to disclose the cost to taxpayers for the unsuccessful attempt to have Jodi Arias executed. 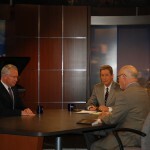 Death Penalty Alternatives for Arizona president Dan Peitzmeyer debated the death penalty on PBS’ Horizon on April 16. 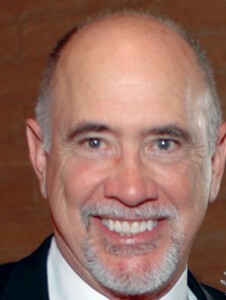 He argued against Maricopa County Attorney Bill Montgomery’s view in support of the death penalty. 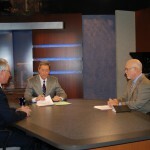 You can watch the debate at this link, and below are some pictures from the event.